Our company is the major in offering CNC Roll or Shaft Grinding Machine. Camshafts are manufactured on precision cam grinding machines to get the desired accuracies. We undertake stringent quality checks at all levels of production from raw material to dispatching in order to provide high quality products to the clients. 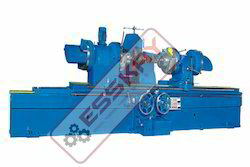 Our company is one of the distinguished names in the industry to manufacture an extensive range of industrial machines including Crankshaft Re Grinder Machine. 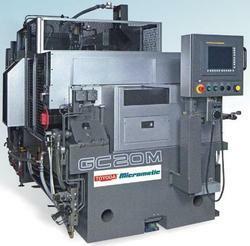 These machines are manufactured using high grade components for reliability. This compact machine is specially designed for producing cam profiles of small engine components such as 2 wheeler camshafts and for general purpose unround applications. It incorporates the latest technology for ensuring high precision and enhanced productivity. High-precision and high-productivity have been achieved by adopting the direct driven workhead and the fill-closed loop wheelhead feed with linear encoder. High-productivity due to wheel surface speed of 120 m/s. the floor space has been reduced by adopting the wheelhead traverse feed. The wide range of machinery assortments offered by us includes Crank Shaft Grinders. We have introduced highly innovative methods for the designing of these grinders. Crank Shaft Grinder offered by find their applicability in a number of fields including construction, automobile, engineering and allied sectors.